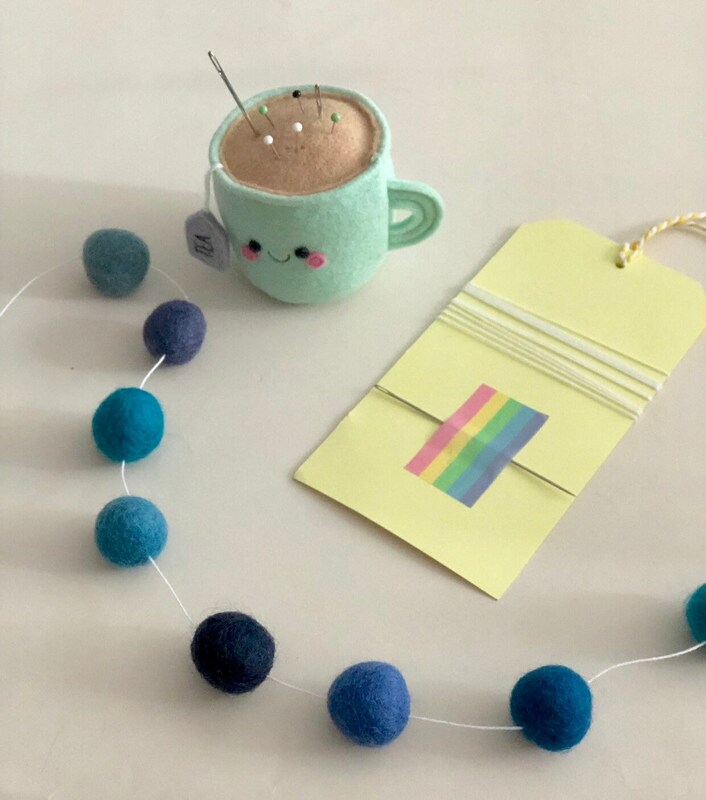 Garlands are fun to make and you have the creative control to choose how you'd like the different shades to be arranged and spaced out. 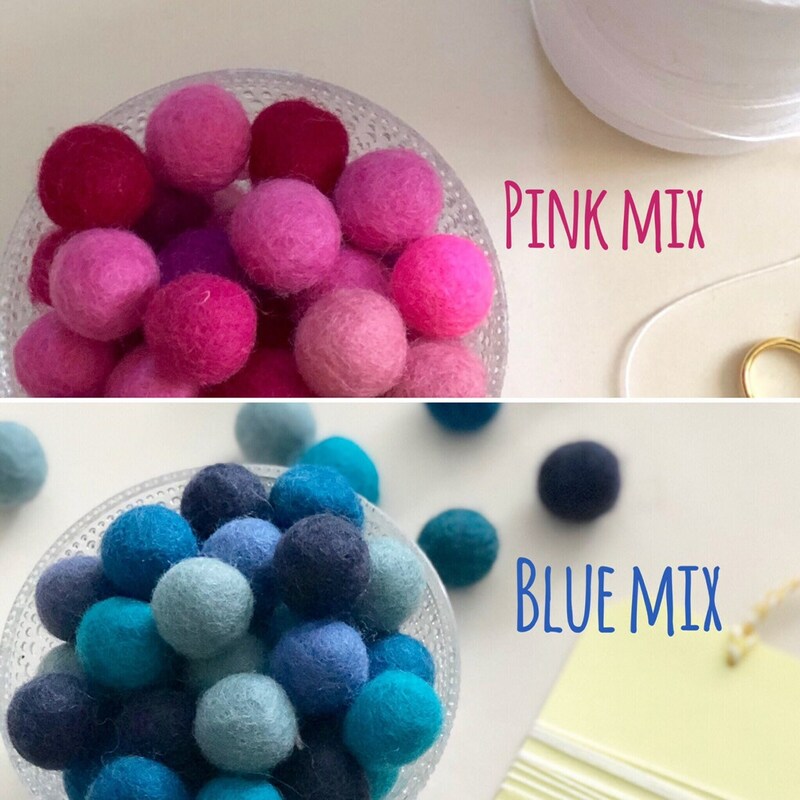 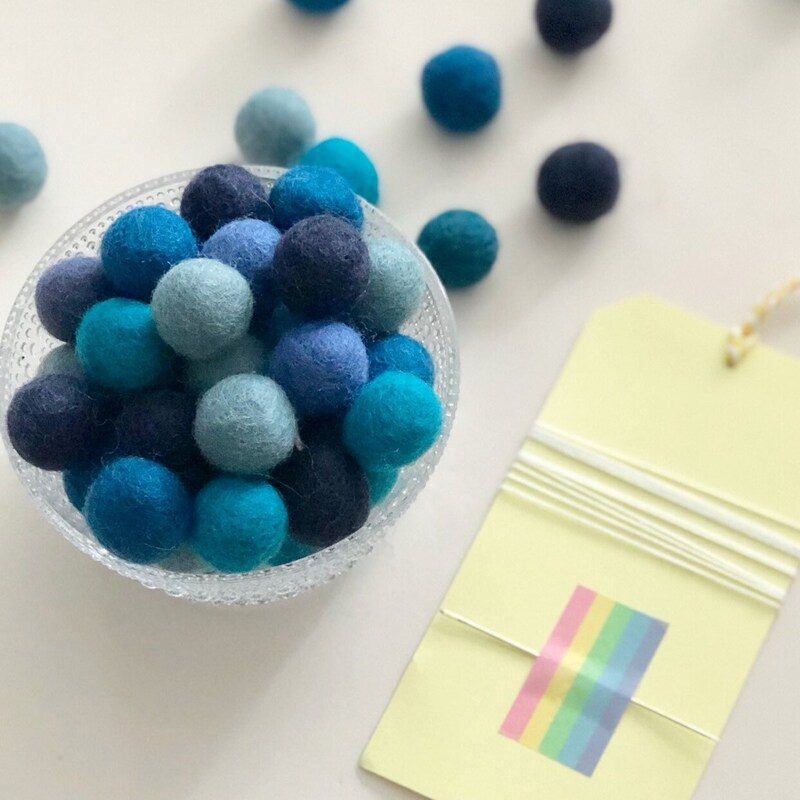 30 wool felt balls in assorted shades, you can choose a PINK mix or a BLUE Mix. 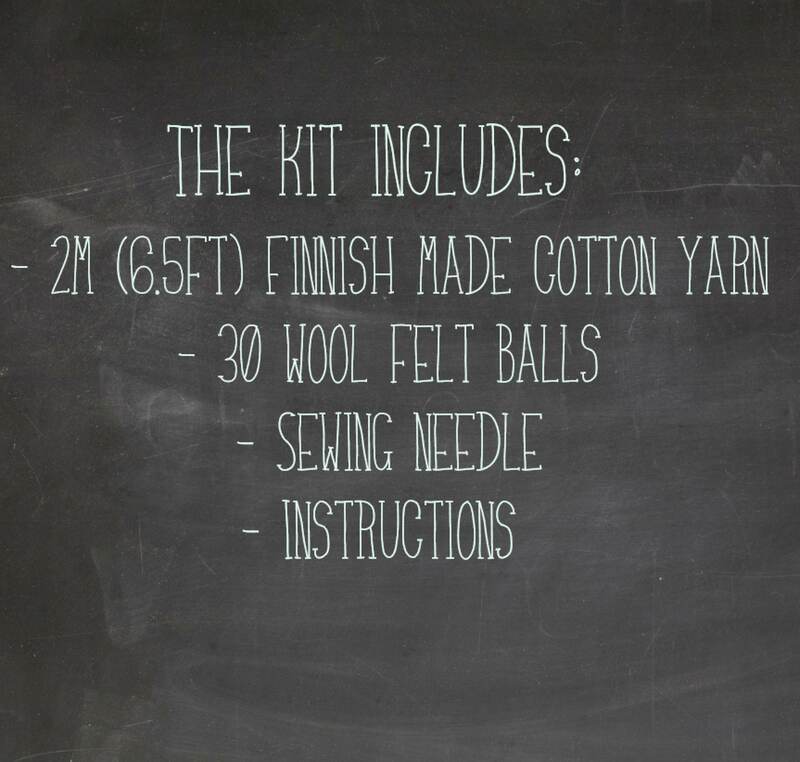 I will endeavour to include an equal amount of each shade within the kit. 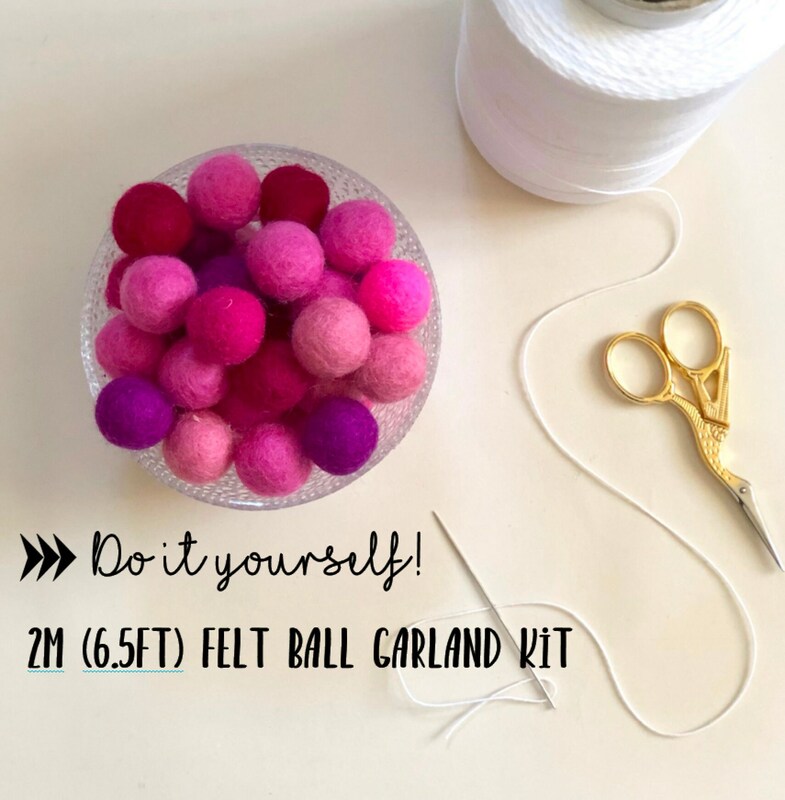 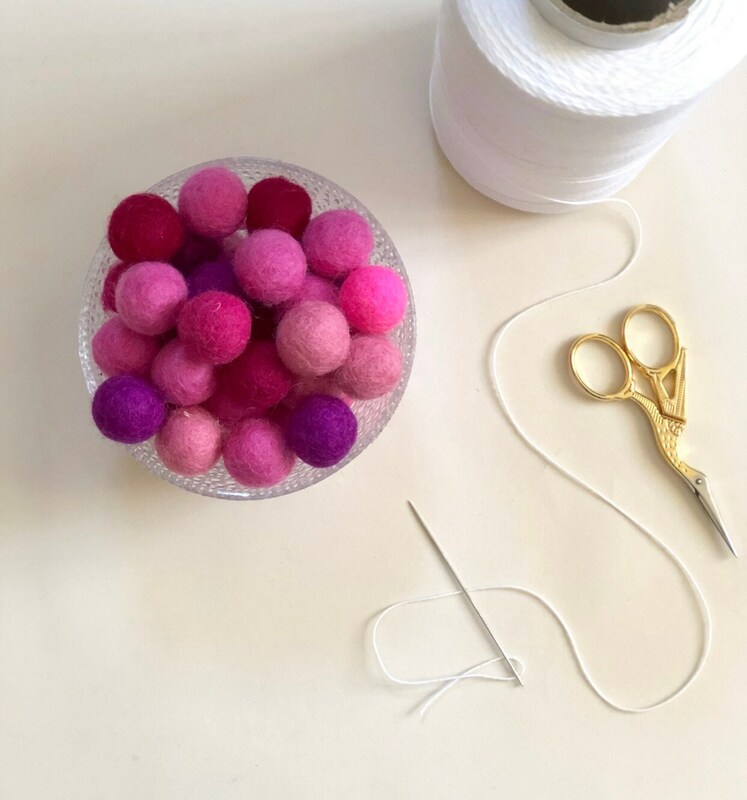 Each felt ball is approximately 2cm wide (just under 1 inch). 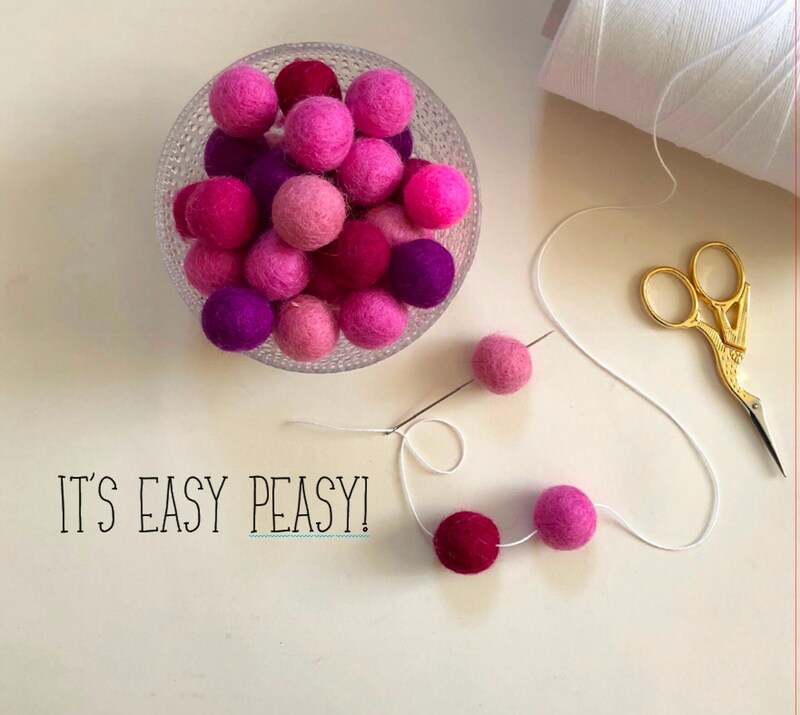 The garland is so easy to make and looks beautiful in my daughters bedroom.